Home Innovation GravitySpace is a new approach to tracking people and objects indoors. GravitySpace is a new approach to tracking people and objects indoors. Unlike traditional solutions based on cameras, GravitySpace reconstructs scene data from a pressure-sensing floor. While the floor is limited to sensing objects in direct contact with the ground, GravitySpace reconstructs contents above the ground by first identifying objects based on their texture and then applying inverse kinematics. Smart rooms support users by offering not only a series of convenient functions, like home automation, but also by acting pro-actively on the user’s behalf. To this end, such rooms need to know their own geometry as well as the people and their actions within it. We propose to use high-resolution pressure-sensitive floors as new approach for tracking people and furniture in smart rooms. 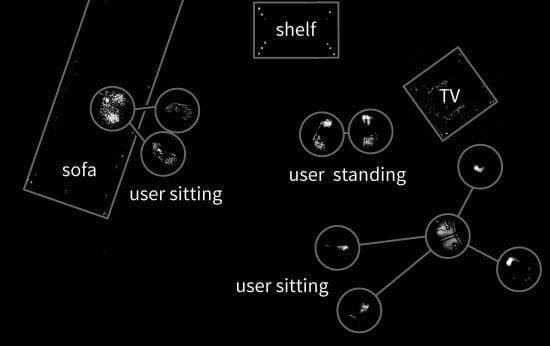 While the floor is limited to sensing direct contact with its surface, we can conclude what takes place in the room above, such as users’ poses or collisions with virtual objects.